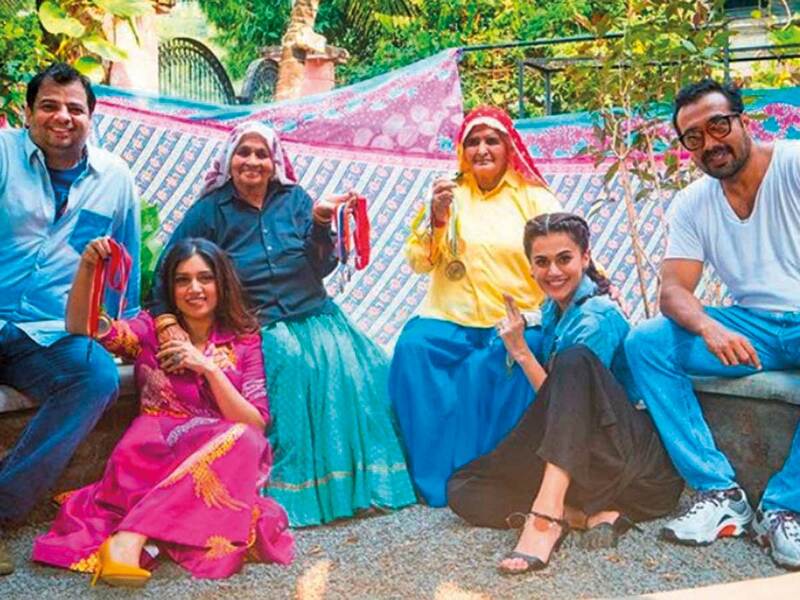 Bollywood actresses Taapsee Pannu and Bhumi Pednekar will be seen playing the world’s oldest sharpshooters, Chandro Tomar and her sister-in-law Prakashi Tomar, in ‘Saand Ki Aankh’. Pannu on Saturday took to Twitter, where she shared a photograph of herself along with Padnekar, Chandro and Prakashi. A tweet from the official account of Reliance Entertainment read that the film has now begun production. Chandro, 87, and Prakashi, 82, are from Uttar Pradesh’s Johri village and reportedly took up sharpshooting in their 50s. Chandro, who is fondly called as ‘shooter dadi’ (grandmother) is among the world’s oldest female sharpshooters. Meanwhile, filmmaker Pritish Nandy says he knows nothing about the controversy involving him and Kashyap over the film title ‘Womaniya’. He says he is making a movie called ‘Womaniya’, which is why the title has been registered by his company Pritish Nandy Communications Ltd. According to reports, Kashyap and Nandy were in a tussle over the rights to the title — the former had earlier said he had the Intellectual Property Right over the name, while the latter said the title had been registered by his company. Kashyap on Saturday announced on Twitter that the film, starring Pannu and Pednekar, finally had a new title. “We have decided to not pay the extortion sum of Rs10 million (Dh515,417) to Pritish Nandy,” Kashyap tweeted.